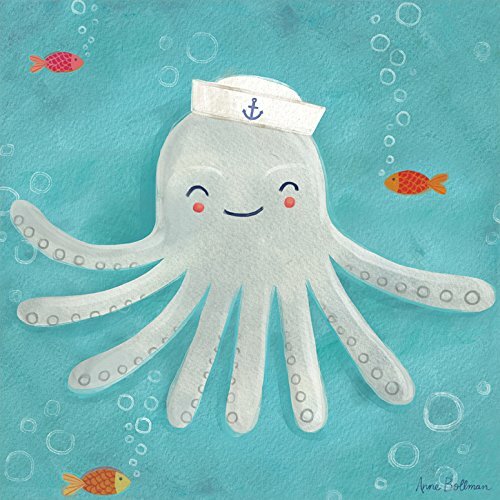 Let your child's imagination set sail with this delightful gray octopus friend, designed by Anne Bollman. This kid's canvas art is perfect for an animal or ocean themed nursery! combine with other animal art from her collection for a charming wall gallery to set the scene for comfort and fun!. If you have any questions about this product by Oopsy Daisy, contact us by completing and submitting the form below. If you are looking for a specif part number, please include it with your message. ArtWall Jan Vermeer's Girl with the Pear Earring Gallery Wrapped Floater Framed Canvas, 36" x 48"